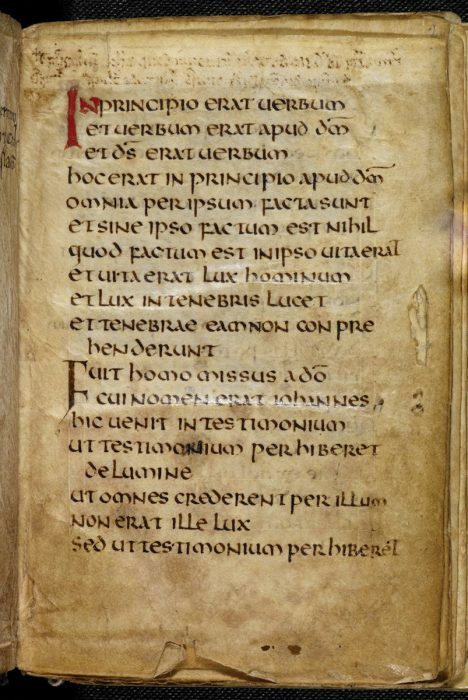 The St. Cuthbert Gospel is the earliest surviving intact European book. Some time around 698, it was slipped into the coffin of a saint. Saint Cuthbert’s fame grew following his death in 687. The hermit monk’s body, so the story goes, was found to be incorrupt over a decade after his passing in Northumbria (today’s border between England and Scotland). The miracle led to a cult around his remains. Offerings were placed at his tomb. Some time around 698, a small red book was slipped into his coffin. The Gospel of John was sometimes employed as a protective talisman. The book, however, was kept as a separate relic. Today the 1,300-year-old manuscript retains its original pages and binding. It was acquired by the British Library in 2012, and will be on view in the London institution’s Anglo-Saxon Kingdoms: Art, Word, War, opening October 19th. “Its excellent state of preservation can be traced at the outset to the significance it held — a carefully prepared gospel text, which was transferred with the relics of St. Cuthbert to Durham in 1104,” writes scholar Robert D. Stevick in Artibus et Historiae. Because of this remarkable condition, it’s an important example of Insular art, which was created on the British Isles and Ireland between 600 and 900 CE. “There is interlace pattern in two panels on the front cover, step-pattern implying two crosses on the lower cover, a prominent double vine scroll at the center of the front cover—elements of this early art that have been well catalogued for their individual features as well as for their affinities to similar decorative elements in other artifacts,” notes Stevick. The text itself is also significant, as it’s a copy of the Gospel of St. John. This was not a randomly selected spiritual text. This gospel was sometimes employed as a protective talisman. 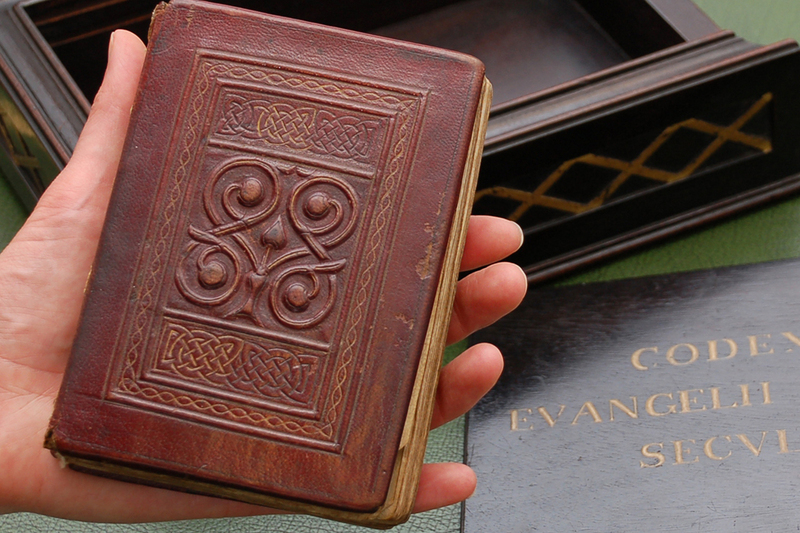 “While many kinds of relic could be worn as amulets, books were particularly desirable, and there are multiple accounts of Gospels and Psalters (especially those linked with saints) being fitted with cord or placed in a pouch and worn on the body, a practice associated with books as early as the seventh/eighth-century Stonyhurst Gospel of St. Cuthbert,” writes Stuart McWilliams, lecturer in English, in Preternature: Critical and Historical Studies on the Preternatural. The British Library has the whole St. Cuthbert Gospel available to explore online, as this rare manuscript continues its journey into the digital age. 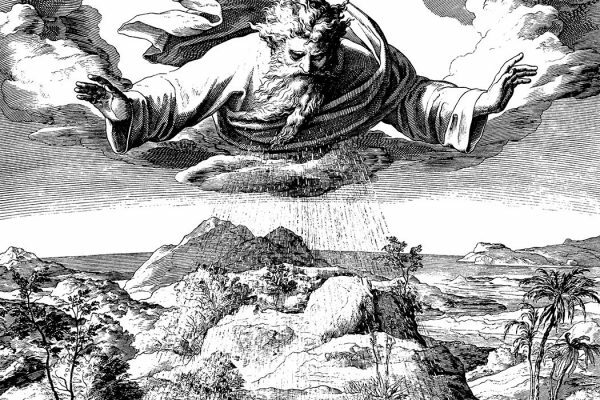 A short history of the literal interpretation of the Book of Genesis reveals it's largely a modern dogma.